First I'll talk you about this really intriguing artist called moji moji. His real name is Lucas Page and he's from Buenos Aires (Argentina). As such, the track names for his two published releases are poetic and evocative by themselves. As for example: El laberinto de la noche nos conduce a Cachi , which could be somehow translated to "Night's laberynth drives us to Cachi". Whatever or wherever Cachi is, I'm already intrigued enough to listen. If you're into postrock I absolutely recommend it. Now for something a bit more frantic, so to say: mixtapes! Ne7 recommended this website from one fellow demoscener from mighty TRSi demogroup a while ago: DJ Placebo. It contains several mixes in different styles, and the ones I liked most were the ones in 'oldschool' styles, such as for example Alte Schule or Back to Oldschool. And finally for the total oldschool awesomeness! Dj Hoffman of Unstable Label has recently released an Amiga Musicdisk with a total of twelve (12) modules in (mostly) jungle style. It's 8-bit jungle and if you're into Amiga or mods or jungle or are simply curious you would do well downloading it. The file includes also the original mod files without encryption or anything, and a 'mixed' mp3 with all the songs in order, without gaps in between. The people from True Chip Till Death organised a fundraiser campaign in order to help the people of Japan. It's called Chip In: Japan and as I write this we're on the verge of the $5000 target, which is incredibly cool. I decided to donate a song as soon as I heard about the project. The song is finally rbld, which is actually a kind of remix of another, older song of mine called rebuild. I added it to chipmusic too. Why not? I'm going to release something this year! This is my own deadline. If I don't do that you can remind me and I'll feel embarrassed to death. Cheeks blushing with shame and all that. I promise. In order to push myself to finish the album, I'm going to release the tracks as I do them, and this is one of the tracks that will be in the album. So you get an idea of how it'll end up sounding. Since YouTube was considering my DOSBox 640x400 captures as only deserving 360p, I set myself to do something about that. 360p is just not enough for showing tracker commands; everything comes out too blurry. The answer, as usual, was ffmpeg. The -threads 3 option is totally optional. It tells ffmpeg to split the encoding work into three threads, which is useful if your computer has three or more cores. When I released my 10 years ago compilation, don't ask me why, but I was very disorganised. I trusted my memory would keep working as well as it had done until then and I would be able to link a song with its source filename forever. So, let's consider my song titled "tQOH". You would expect the filename to be something like tQOH.extension. But it wasn't. In fact, its filename was HOUZE.XM. Totally unrelated. I had also noticed that some of the songs in the compilation weren't available as single songs in the website--quite a shame! But looking and matching their filenames to their titles was very hard... and to make things worse, the source songs were scattered in lots of several different folders. Such as unfinished, unfinished1, unfinished2, finished. You would expect unfinished songs to be only in the 'unfinished' folders, right? Poor fool. No, there were all sorts of songs in there, both finished and unfinished. So I decided I would put an end to this. Therefore I'm slowling trawling through those Folders of Hell and sorting the songs out, removing duplicates, adding the missing ones to the website, with its MP3/OGG render so that they can be listened online, filling its profile with whatever I can remember about the song, etc. It's been such an interesting experience. A bit boring at times but very rewarding... specially when I found an IT.RAR file which not only contained the latest version of Impulse Tracker I used, but also a bunch of songs that I thought had lost the sources of. Plus very cool almost finished songs that I didn't even remember having tracked, and some fresh promising sketches that could be ace (once finished). It was like in the Amelie movie, when the guy gets its old metal box--that RAR file was full of memories and unexpected surprises. It was very moving. ... and also took the opportunity to test DOSBox's render to video functionalities, and recorded one of my very old songs playing under Scream Tracker. Wooohooo! 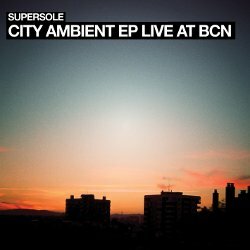 City Ambient EP (Live at BCN) is my first release in AGES. Shamefully, it has been dormant in my hard drive for five years (! ), until I finally decided it was time to start finishing all the drafts and stuff I have in here. Time to wrap things up, I say! I'm also going to take a different approach this time: instead of releasing a ZIP file which you download, uncompress and listen, I'm uploading the songs in insanely high quality uncompressed format to my brand new Bandcamp account. You can listen to the entire songs, in the website, which is convenient enough. And if you like them so much that you want to get a superhigh quality version of them for your favourite player, you can now buy them for a symbolic price.